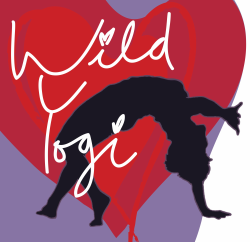 Following our successful and oh so much fun Yoga and Trail Run Derbyshire Dales weekend in 2017 and 2018 at the gorgeous Alison House Hotel, my amazing partner, Ian Watson, and I have decided to team up with this beautiful hotel again to bring you another fab weekend of yoga, running, holistic therapies, guided walks and delicious 100% plant-based cuisine. And, as our retreat is a little earlier this year, you also have the opportunity to enjoy Matlock Bath's famous illumination and fireworks. Whether you're a yogi, a runner, both, or neither, there is plenty for you to enjoy. The weekend itinerary and price list are shown below. Details of the various treatments available throughout the weekend will be published here once they are finalised so please do come back for updates. Below you can find out a little more about Ian and me, as well as lots of photos from our last two retreats. Please also follow us on our Facebook page at Yoga and Trail Run Derbyshire Dales Weekend. Please contact us for your booking form. Ooh..and did I mention the early bird discount of 5% if you book and pay up before the end of May. The discount also applies to those of you returning to join us again! That's right so please get booking. Thank you. Yoga: I've been sharing my passion for yoga for more than 10 years. My classes are challenging yet accessible, and most of all, they are fun. Life is too short to be serious and I totally believe that "there is nothing more prayerful than playfulness". The classes during our weekend will be suitable for all levels. Trail Running: Ian is a local runner and member of Matlock Athletic Club. Ian helps to coach young club members, and with nearly 10 years of experience running in the Derbyshire Dales he certainly knows the most beautiful routes and will tailor the routes to suit every experience level. Please note that these prices do not include optional holistic treatments* or optional evening activities or transport. *Prices for holistic therapies coming up soon.